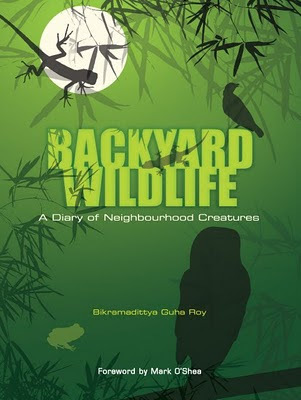 Written by my friend Bikramadittya Guha Roy, 'Backyard Wildlife' is a wonderful compilation of accounts of little secrets of the natural world, presented from a unique and a very interesting perspective. I had the pleasure of drawing a few cartoons for this book and am honored to be a part of this publication. Contributions from a lot of wildlife photographer-friends makes this even more special. Catch this book at your nearest Crossword in a few weeks from now!